I can really recommend to get up early. I arrived at 6.00 at the morning and had around an hour before it got crowded. To be there alone is also a so much nicer experience as with hundreds of Tourist later on. I hope you like it. I love this landscape shot. What lens or at least mm was used to capture this particular enveloping effect? I've been to Kyoto but I didn't see this place. hey, it was with an 11-24mm at a FF Cam. This shot was taken with 14mm. 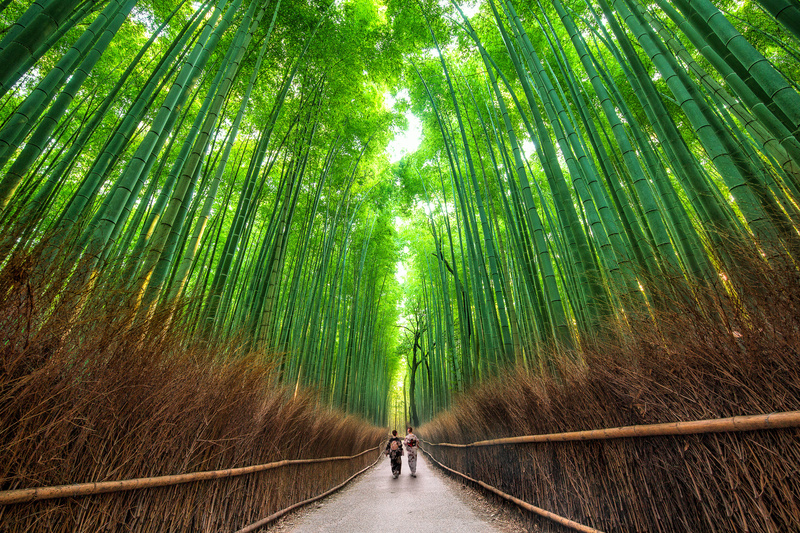 If you google Sagano Bamboo Forest you should find the place.